What's Good at Trader Joe's? : Our Next Great Reader Contest! 1. 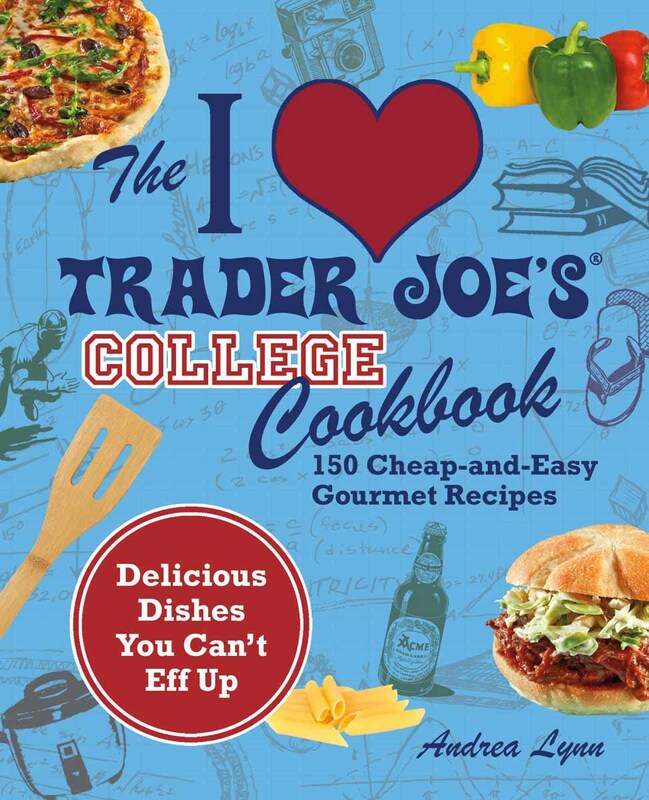 Like our Facebook page and also the I Love Trader Joe's College Cookbook Facebook page and look, you're entered! I mean, you have to like us for us to give you something, and I presume you have to like this in order to want to win it, right? 3. Like or comment on one of our posts on Facebook, or leave a comment on the blog page, and you got yourself another chance. Contest runs from now til Tuesday August 16, at 9pm EST. One winner will be picked in a random drawing, and look for the Facebook announcement shortly thereafter. We'll also drop you a line so we can get your address, etc to ship it on out to ya. We'll give you 48 hours to respond and if you don't, we'll assume you're trapped in the creepy corner of the campus library and find another taker. We're only going to ship it to somewhere in the U.S.
Well, that's it, so good luck! This will not be graded on a curve. I would love this book :D!! I would love to win this book! I am a huge Trader Joes addict, but I always get stumped as to how I can break out of my normal routine. I would love this, but both of your facebook links don't function. tj's is a lifesaver when i'm short on time! Love this, I don't grocery shop anywhere else! Zuckerberg strikes again! Think I fixed the links for both now. Let me know if they work for you - they do for me. Just discovered your blog and really enjoy it! This contest is timely because my oldest son is getting ready to leave for college next month. This will be his first time out of the house and cooking on his own. Perfect book for him! ooooh...I'm not a college kid anymore, but I love Trader Joe's and welcome any tips to use their food! 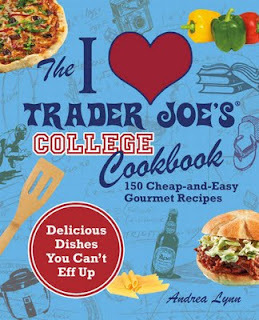 Would LOVE this book coz I LOVE Trader Joe's! Trader Joe's is foodie heaven! I would love the cookbook! Can't wait to get a look at the cookbook! Trader Joes has helped so much in getting veggies into my kids! Their food usually tastes so good that the kids don't notice when I sneak pureed veggies into the mixes and sauces!